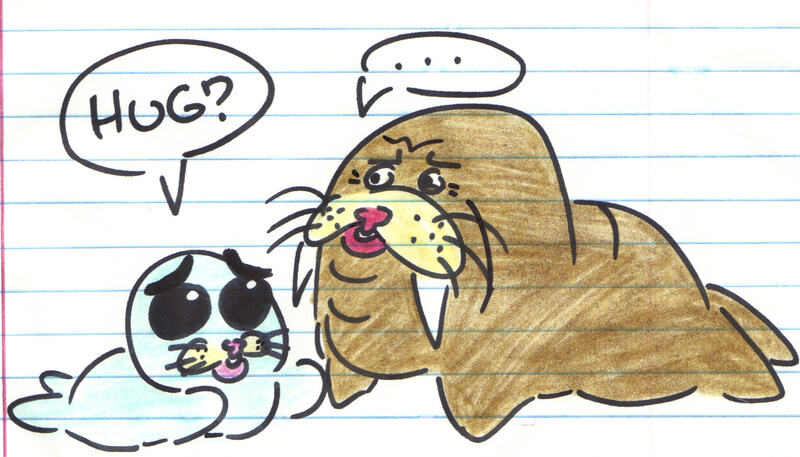 In captivity, when a trained walrus does a trick and gets a fish, he’ll then repeat the same trick over and over in order to get another fish each time. In contrast, if a trained seal does a trick and is rewarded with a fish, he’ll then try new tricks to explore different possible rewards; maybe a flip will get him two fish instead of one. Maybe walking on his flippers will score even more. As I say, almost certainly not true in the context of the animal kingdom. And yet, there’s something in there that rings true, right? I’m currently working with two separate teams who regularly collaborate with each other. Team One aims to deliver exactly what’s expected, nothing more or less. Their benchmark for success with the Client is completely binary: ‘Yes, this is what we asked for’ or ‘No, this is not what we asked for.’ And as such, any change in the creative process – big or small, good or bad – is a threat to that win. The goal? Stasis. Don’t rock the boat. Get the checkmark. Team Two stands in stark contrast to Team One. They will embrace the agreed-upon goal, but they’re willing to risk complete failure for the chance to overdeliver. To shock and awe. To bend the letter of the law – if needed – in order to hew to the spirit of the law. Team Two’s scenario for failure is as fixed and clear as Team One’s, BUT the possible upside – the win – is limitless. Determine which approach is most often useful to your unique team. If you’re an accounting firm, you probably don’t need a roster full of mavericks – though one may be useful now and then. If you’re in a very competitive market category and/or in a creative field, don’t limit your chances for the Big Win by shutting down your visionaries, loud-mouthed though they (we) might be. Conversely, don’t be afraid to remind them they can only bend the rules if the rules are in place to begin with. Combining these disparate groups is a process, so be patient – with yourself and with the ‘other side’ – and extend a spirit of grace whenever and wherever possible.